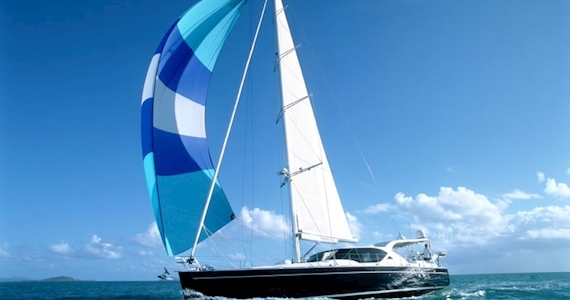 Bliss offers Luxury Sailing Tours of the Whitsunday Islands. Built in Australia by Azzura Yachts on the Gold Coast, at 60ft Bliss offers plenty of space to relax in the cockpit, saloon or your cabin. Tours offer Gourmet Meals and the Services of your Captain and Host. With only 6 guests on-board, this is a personalised sailing, snorkelling and island experience. During the tour we will meet with a specialist dive boat and an optional introductory or certified dive is available. Accommodation is a Double Cabin Ensuite with the option for 2 Pax available. Also is the Master Cabin Ensuite available for 1 or 2 Pax.